Planning a half-term getaway? 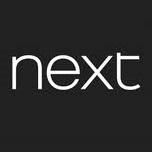 Next’s new season styles are now in-store boasting a fantastic selection of new shoes, shirts, skirts and dresses, shorts, tees and swimwear for spring. With prices starting from just £4, you can afford to give you and your family a brand-new holiday wardrobe.